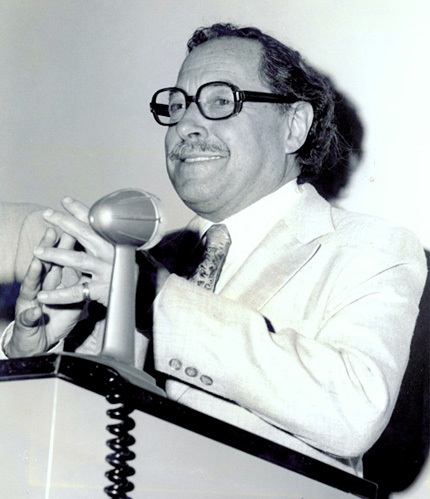 Tennessee Williams speaking at the dedication of the auditorium in the Key West Library named for him in March 1975. From the Ida Woodward Barron Collection, Monroe County Public Library. Tennessee Williams (1911-1983) was perhaps the most influential playwright of the twentieth century. During the 1940s and 1950s, his work took the American theater by storm, achieving enormous popular success and the sort of feverish criticism only accorded writers of groundbreaking genius. His best-known works include A Streetcar Named Desire, whose 1947 Broadway production launched the careers of Marlon Brando and Jessica Tandy, and the 1955 Cat on a Hot Tin Roof. Both plays were awarded the Pulitzer Prize. Although his later career was marked by declining success, poor health, and a dependence upon drugs and alcohol, when Williams died at 71 he was regarded among the most important artists of his era. His plays continue to be produced around the world to this day. Williams had a long love affair with Key West, where he owned a home on Duncan Street and lived off and on for more than forty years. He had a strong relationship with the Key West Library, and produced the recording featured here for the Monroe County Public Library at the Key West studios of WKWF on April 3, 1971. Though he was known as a playwright, Williams thought of himself as a poet1, and here he presents a selection of 15 poems, “most of it early, and young” as he says in the brief introduction. This recording is available for noncommercial and educational use only. Used with permission of Tennessee Williams by arrangement with the Monroe County Public Library. Copyright in the works of Tennessee Williams is held by the University of the South. Thanks so much for publishing this. Tennessee Is my favorite writer of all time. I once saw him on the beach at the Pier House but hesitated to talk to him, and have regretted it since. I am so glad to be listening to Tennessee’s lovely voice reading these gentle and world-weary poems. How fine that they were found and published like this for those who know who Key West’s finest writer really was. A priceless gift that soothes the soul. Thank you for making these poems by Tennessee Williams available for listening. I am looking for a copy of the Caedmon recording (only on LP, I think) of “Tennessee Williams Reads From His Works: The Glass Menagerie, The Yellow Bird, and…” and haven’t had any luck on the Internet. Do you have a copy? Can you give me any leads?